IBM System x3400 M2 7836, 7837xxx: IBM System x3400 M3 7378, 7379xxx. IBM System x3500 M3 7380xxx: IBM System x3550 M2 4198, 7946xxx: x3550 M3 7944. IBM System x3620 M3 7376xxx: IBM System x3630 M3 7377xxx. OEM Manufacturer Equivalent Part Number: Fujitsu S26361-F5312-L518. Data Integrity Check: ECC. Capacity: 8 GB. 47J0169 90Y3109. PC3-12800R 2Rx4 ECC REG. 128GB (16x8GB). Samsung Manufactured compatible with the following IBM X Servers. IBM System x iDataPlex dx360 M2: dx360 M3. IBM System x3400 M2 7836, 7837xxx. 32GB - consists of 4x 8GB modules. X1600 G2 NAS. SL2x170z G6. SL270s Gen8. SL250s Gen8. SL230s Gen8. ML350p Gen8 Special Server. ML350p Gen8. 128GB (16x8GB Dimms). PC3-12800R 2Rx4 ECC REG. Founded in 1981, we are expert suppliers of new and refurbished HP IBM and DELL server hardware. 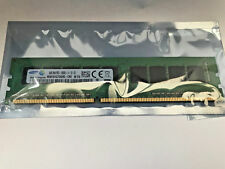 8x8GB PC3-12800R 2Rx4 ECC REG Dimms. 64GB for Lenovo Thinkservers. Lenovo Part Number03X4325. Why buy refurbished hardware from RockHall?. 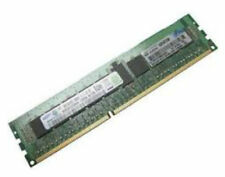 (8x8GB) PC3-12800R 2Rx4 ECC REG. Compatible with the following HP Proliant G6 G7 Gen8 Servers and Workstations. HP Part number 690802-B21 689911-071 698807-001. Founded in 1981, we are expert suppliers of new and refurbished HP IBM and DELL server hardware. 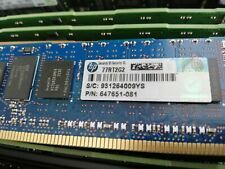 16x8GB PC3-12800R 2Rx4 ECC REG Dimms. Lenovo Part Number03T8398. Why buy refurbished hardware from RockHall?. Part Number: RKR5J. Rank: 1Rx4. Capacity: 8GB. Peak Transfer Rate: PC3L-12800R. Fujitsu P/N: S26361-F3781-E515. Manufacturer: Fujitsu. Component Density: 8GB. Samsung Model:M393B1G70EB0-YK0Q2. ETERNUS CS200 (YM4E, YM2J,L,N,T,V,W,X). Compatible With Part Number: M393B1G70EB0-YK0Q2.